Michael “Tomahawk” Thompson Vs. Yud Rawai at the Evolution 22 Muay Thai event in Australia. 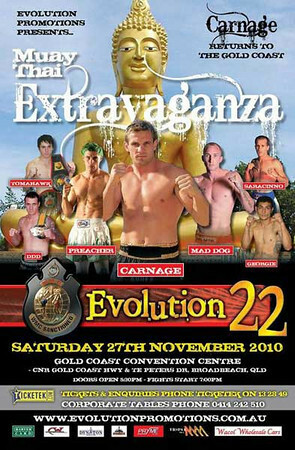 The fight took place at Evolution 22 in Queensland, Australia on November 27th. See for yourself how the fight went down with one of Australia’s stalwart Evolution fighters and an already established Thaiboxer.